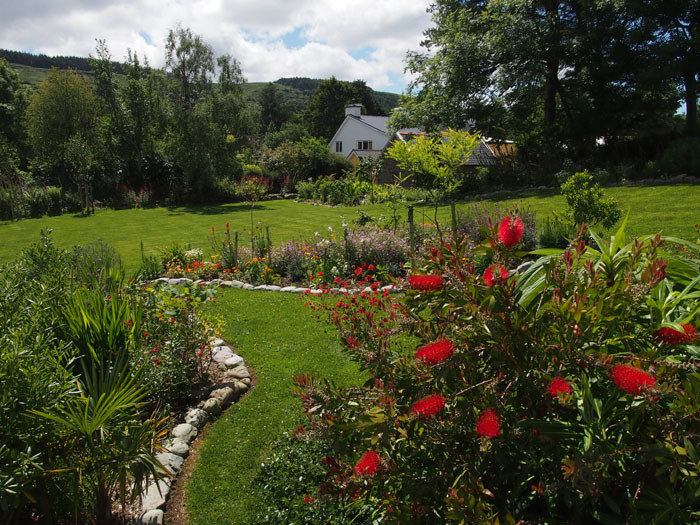 Throughout the year, Ballycommane Garden offers an array of colour, featuring an abundance of flowers as well as a huge variety of mature shrubs and trees. From the ancient boulder-burial site, there is a panoramic view over the broad valley of Four Mile Water (Ballycommane River), and you’ll see sheep grazing peacefully on the green hillsides. 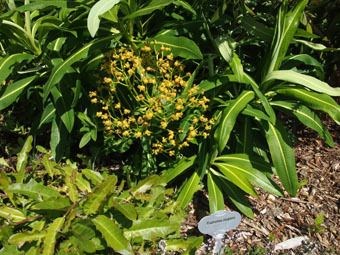 Lush vegetation around the pond (left), including orange flowering Euphorbia griffithii 'Fire Glow'. Right: path leading through the garden, with palms (Trachycarpus fortunei, Chamaerops humilis) and other plants from subtropical regions around the world. 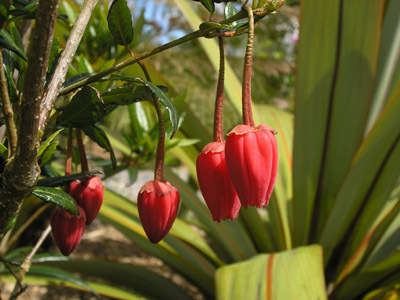 Many exotic plants from all over the world can be discovered in the gardens, including rare subtropical species thriving in this mild climate. Bathed by the warm waters of the Gulf stream, even tender plants such as palms, tree ferns and myrtles from the southern hemisphere easily grow outdoors. 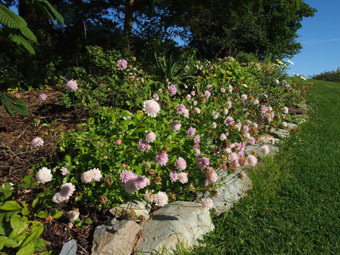 Established hedging throughout the grounds and the cover provided by the extensive foliage have created tasteful, secluded areas for private contemplation. We invite you to walk around, sit down, relax and escape the pressures of everyday life. 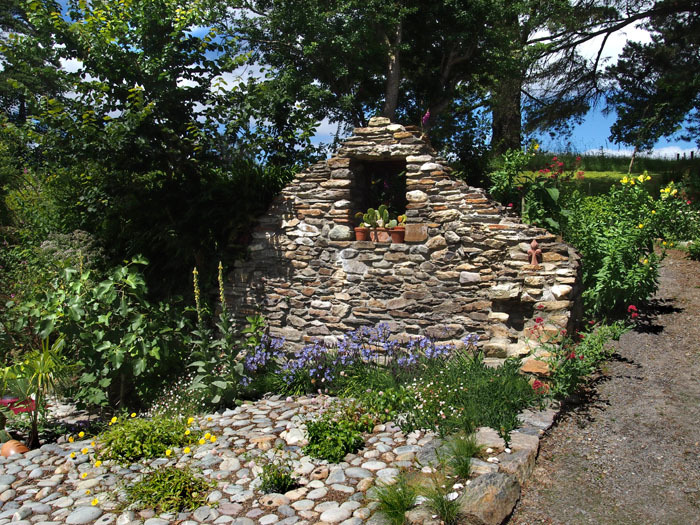 Award winning horticulturist Peter Donegan of The Sodshow Garden Podcast visited Ballycommane Garden for an interview. It's in iTunes, all good podcast stores and on facebook. 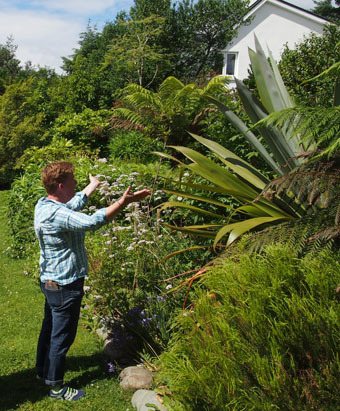 Another specialist collection in the garden focusses on the flora of the Azores. This archipelago of nine volcanic islands in the North Atlantic Ocean forms a unique ecosystem that includes the macaronesian subtropical laurel forest (laurisilva). Of its many endemic species, a considerable number is cultivated to great success in Ballycommane. 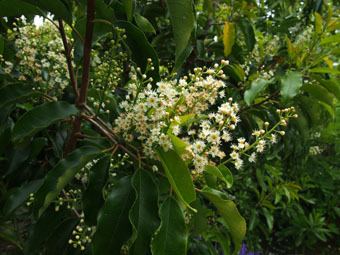 These include Picconia azorica, Prunus lusitanica subsp. 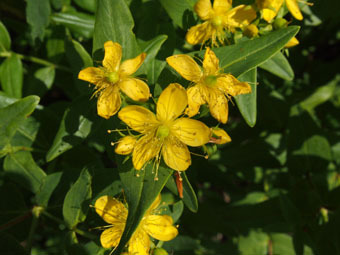 azorica, Hypericum foliosum, Euphorbia stygiana, Scabiosa nitens and Tolpis azorica, to name but a few. Top left: Scabiosa nitens; top right: Euphorbia stygiana; bottom left: Hypericum foliosum; bottom right: Prunus lusitanica subsp. azorica. Open 1st March - 31st October daily between 9.30am and 6pm and by appointment. Admission: €5 (free admission for B&B guests). Click here for a map of the garden. This gable gives evidence of the old turfhouse, with flowering agapanthus, Tolpis succulenta, Scabiosa nitens and Festuca petraea bedecking the cobbled floor. Prickly pear cacti are growing in the window. 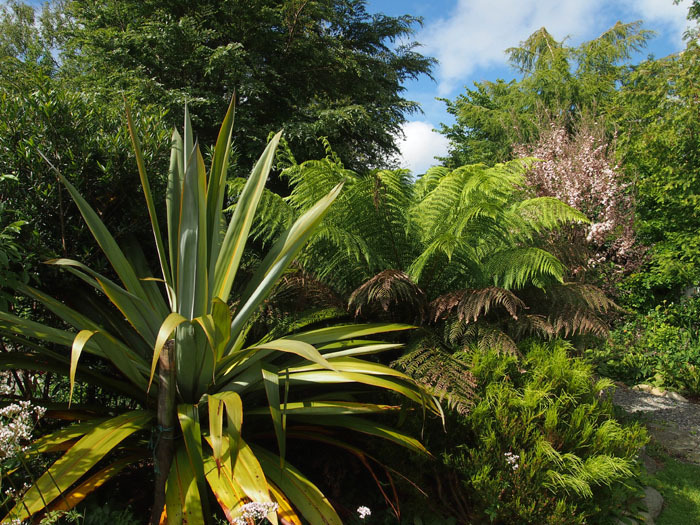 Left and bottom: Cordyline indivisa, Leptospermum scoparium (manuka) and tree ferns (Dicksonia antarctica). 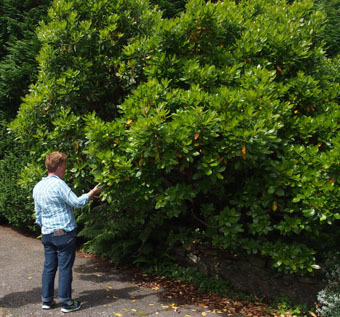 Top: Arbutus unedo, the Killarney strawberry tree.